What shall we say? Never been so bored! But the minimalistic view with less colours (paired with some funny elements like underwear) shows a new side of Pfaffenhofen. 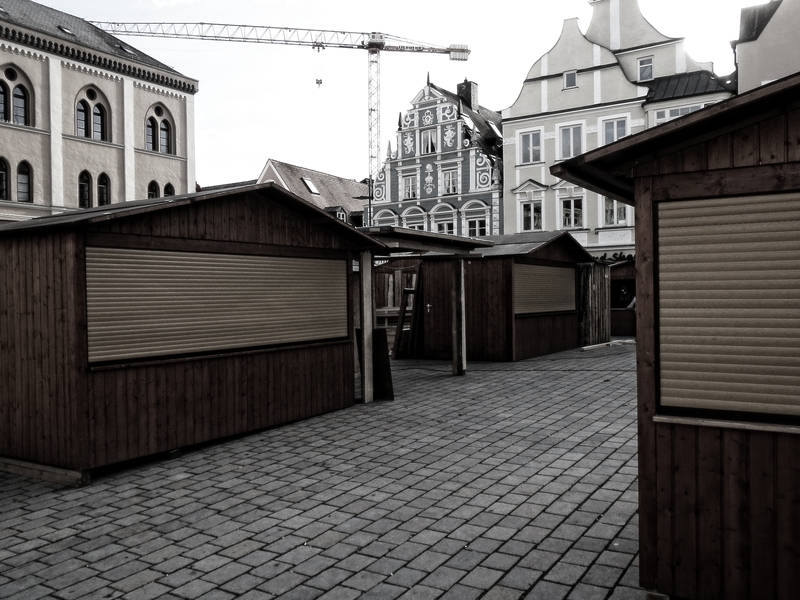 Even the faszinating architecture of the town seems to go to sleep beside the useless huts. This entry was posted on November 29, 2014 by Ray Catcher. It was filed under Boring, Capital of the week and was tagged with Boring, capital of the week, Pabuca, Pfaffenhofen, soul of the city.